Vandor said she typically sends clients to venues with a laid-back atmosphere because it keeps the mood light and fun. “If it’s super loud and super crowded, then you’re not putting your best foot forward on that first date,” Vandor said. This vintage industrial warehouse once housed Dahlquist Manufacturing Co., founded in 1894, which specialized in copper fabrication. 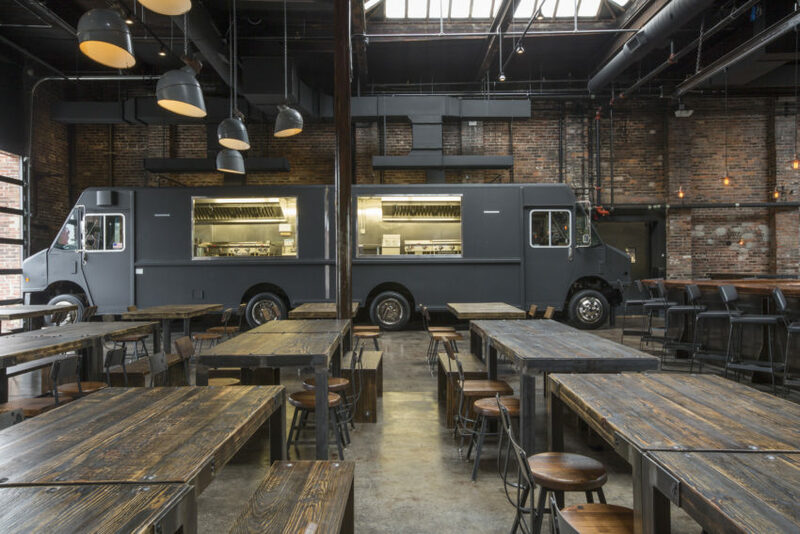 Now, the space boasts a brick-walled, open dining room, two indoor food trucks, a rooftop bar featuring an Airstream trailer, and a killer vibe for a casual evening date. The sizable drink menu features bottles and cans, specialty cocktails, and even cocktail pitchers. For dinner, you’ll currently find everything from sweet potato tater tots to burgers to sirloin steak. If your date loves barbecue, options range from ribs to pulled pork to brisket.